The two women took the stand, one after the other, and recounted the rapes and beatings they said they endured during the Rwandan genocide. One woman, a member of the country’s Tutsi minority that was targeted for extermination by Hutu extremists, said a medical student at a hospital where she had sought refuge twice handed her to a group of men, who took her to a field to be sexually assaulted. The second woman, also a Tutsi, testified that the same medical student first raped her cousin, then came for her. When he was finished, he handed her over to Hutu extremists and told them to kill her, she said. She was six months pregnant at the time. Both women identified that student as Jean Leonard Teganya , a Hutu who fled Rwanda after the genocide ended in June 1994. He ended up in Canada, where he met his wife, had two sons, and lived for 15 years before crossing over the border into Maine. 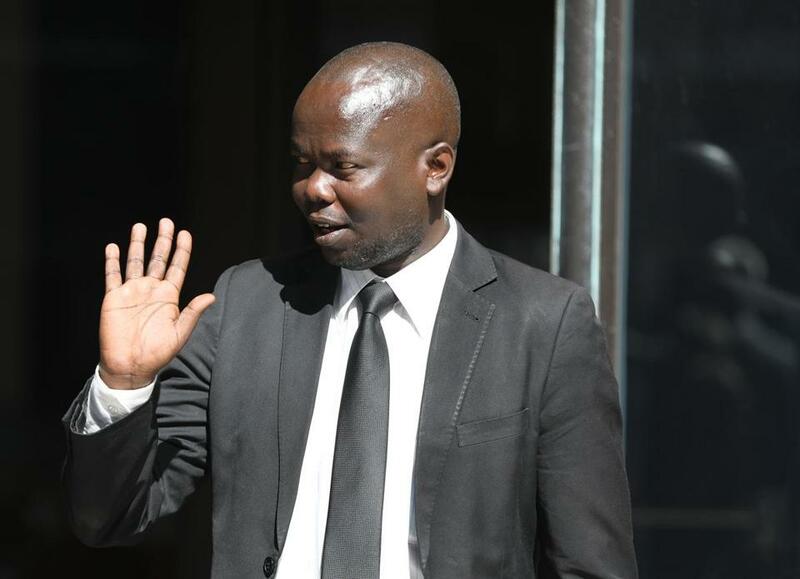 Now Teganya, 47, is on trial in US District Court in Boston, accused of concealing his alleged role in the genocide of 800,000 Tutsis to win asylum in the United States. Prosecutors have presented a series of witnesses to attest to his alleged role in the atrocities, searing accounts that have left the courtroom hushed. But lawyers for Teganya have sought to undercut the survivors’ credibility, saying they may feel pressure to testify against an alleged war criminal from the Rwandan government, an authoritarian regime that has stifled free press and killed opposition members. Witness Jean Pierre Gasaira left federal court in Boston on March 13 after testifying in the trial of asylum-seeker Jean Leonard Teganya. Teganya is alleged to have committed atrocities in the Rwandan genocide. The Rwandan government is now controlled by the Rwandan Patriotic Front, the Tutsi-led party that put a stop to the genocide and, according to critics of the regime, has a vested interest in silencing dissident voices to solidify its control of the country. 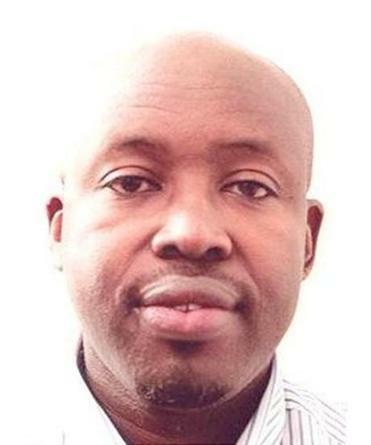 The defense’s first witness was a Rwandan and a research fellow at Boston University, Noel Twagiramungu, who had been prepared to tell the jury that the testimony of Rwandans abroad could be reviewed by government officials to make sure they support allegations of genocide. “A witness may be rewarded — or reprimanded — socially, financially, and politically as a result of that scrutiny,” according to an affidavit that detailed the expected testimony. Twagiramungu was forbidden by US District Judge F. Dennis Saylor IV from saying that in court, but he did testify that Rwandans feel considerable pressure to obey the government’s wishes. Teganya’s lawyers have also called witnesses who were at the Butare hospital in 1994 and testified that they never saw medical students participate in attacks on Tutsis and only saw Teganya tending to the wounded. 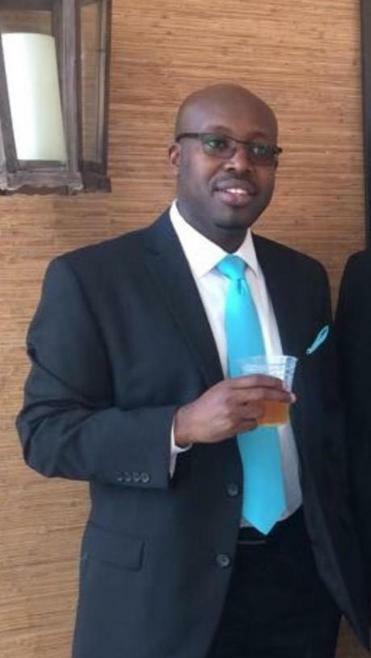 During cross examination of the two women, Teganya’s lawyer, Scott Lauer, sought to expose inconsistencies in their accounts, suggesting they may have coordinated their stories. Lauer also asked the witnesses about the expenses covered by the US government for their food, travel, and hotel stay. “When you get the money to eat, you were taken to a bank and handed money, right?” Lauer asked one of the women, a 67-year-old farmer. “Yes, they give me the money,” she replied through an interpreter. Teganya is the third Rwandan since 2012 to face prosecution in New England for allegedly hiding links to the genocide to obtain asylum. In 2012, Prudence Kantengwa, a Hutu, was sentenced to 21 months for lying on her asylum application about her affiliation with the party that orchestrated the genocide, the National Republican Movement for Democracy and Development. Three years later, Kantengwa’s sister, Beatrice Munyenyezi , a Hutu mother of three who had moved to New Hampshire, was sentenced to 10 years for lying about the killings and rapes she ordered as head of a roadblock in Butare, where Tutsis were stopped, checked for identification, and often murdered on the spot. Brian Andersen, a special agent for the Department of Homeland Security, which investigated the case, testified that his team found the witnesses in Rwanda and established contact with them. “Did the government of Rwanda play any part in selecting the witnesses?” Assistant US Attorney Scott Garland asked Andersen. “No, they didn’t,” Andersen replied. Prosecutors have also tried to show that defense witnesses may be testifying because of old grudges against the Rwandan government or out of affection for Teganya. Some defense witnesses are former schoolmates of Teganya. In his cross-examination, Lauer asked Andersen about the $40 daily reimbursement that witnesses receive while they are in the United States waiting to testify. The two women who said they were raped testified that they met at the Butare hospital at the time, but did not see each other again until two decades later, when they met with American investigators. The 67-year-old woman repeatedly wiped away tears as she described watching her 7-year-old nephew be stabbed by extremists. She brought him to the hospital, where he died. She remained there, hoping she could hide, but she and other Tutsi women were rounded up and brought to a ward. She and many others were taken away by soldiers and extremists and sexually assaulted, she said. “Some would return and others would not,” she testified. The Globe does not identify people who allege sexual assault without their consent. The other witness, now 47, said she and her cousin huddled together at the hospital. Teganya, the woman said, came three times for her cousin. The first two times she came back weeping, her dress torn. The third time, her cousin clutched her and pleaded, “This time, tell him to kill me,” she said. “She never came back,” the woman said. Teganya returned soon after. When Teganya gave her to a group of soldiers, she threw money at them and ran away as they scrambled for it. One ran after her but couldn’t catch her, she said. During cross-examination, Lauer peppered her with questions about her account. How had she managed to walk all the way to the hospital without being stopped at roadblocks? Hadn’t she testified at other trials that she was at her sister’s home during much of the genocide? The witness acknowledged she had. “Did you say a single word about having been at the hospital?” Lauer asked. On redirect, Assistant US Attorney George Varghese asked her why she hadn’t.